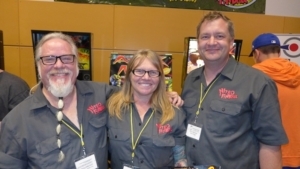 The Northwest Pinball and Arcade Show (NWPAS) kicked off the region’s summer season with their 10th anniversary show in Tacoma on June 9-11, and as usual it was both fun and interesting. 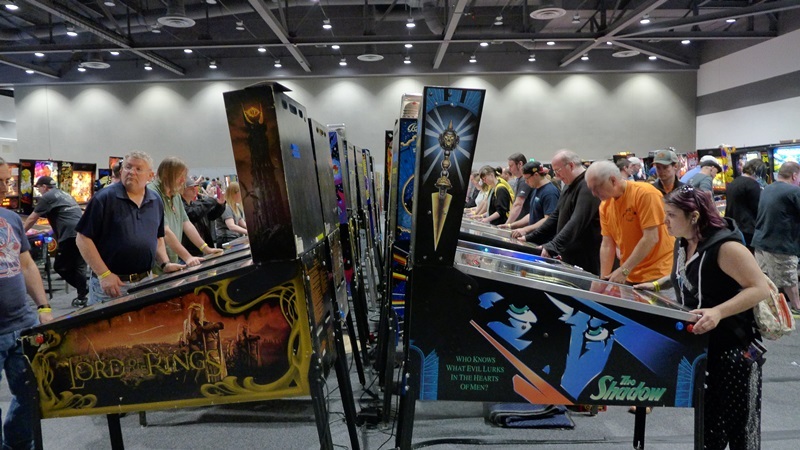 With over 300 pinball machines and arcade games set to free play, NWPAS is the social event of the year, bringing together players and enthusiasts from all walks of life and age groups. Along with a showroom full of games, there were lots of vendors, seminars, speakers, weekend-long pinball tournaments, raffles, and a chance to see and play some of the new games being released in the near future. Fun! Over the years, NWPAS has featured games from upcoming new pinball manufacturers, and this year was no different. Lexy Lightspeed was a good example of this, as it is a totally new kind of pinball machine developed by Multimorphic, Inc. – a new modular pin. 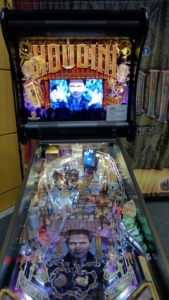 The owners of this machine can change the theme and game play of the table simply by switching out the art and installing new software. Lexy was the only game featured on the pin during the weekend, but it still showed off the possibilities of the system, with unique sections (that change throughout the game) rising up from the playfield. It also had actual ramps, ball locks, and flippers that sat on top of the playfield. Modular! 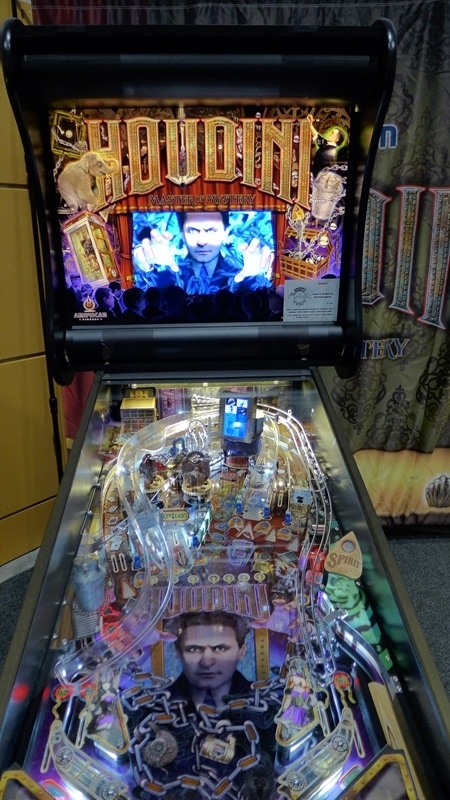 Another new game was Houdini: Master of Mystery by American Pinball, a more traditional pin. This game was super cool, beautiful, and its theme and game play reminded us of an updated Theatre of Magic or Circus Voltaire. There is potential for deep gameplay with Houdini, but the long lines of people waiting to play it discouraged us from playing multiple times over the weekend. 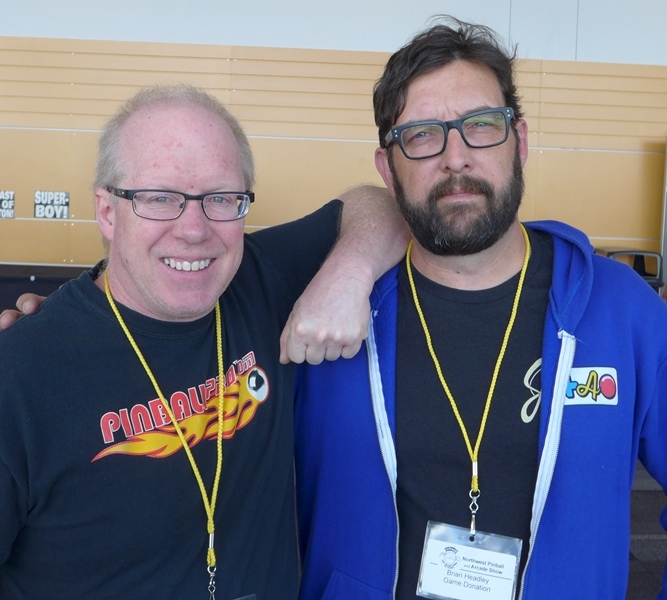 Hopefully this new company can keep it together and we will eventually see actual games arrive on location! 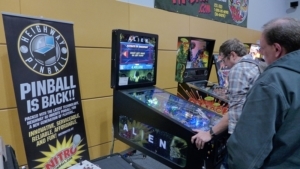 Alien, by Heighway Pinball, was another new pin based on the first two movies of the Alien franchise. This pin was really cool as well. It had a lot of fun movie audio/visuals, along with a more traditional layout and gameplay. 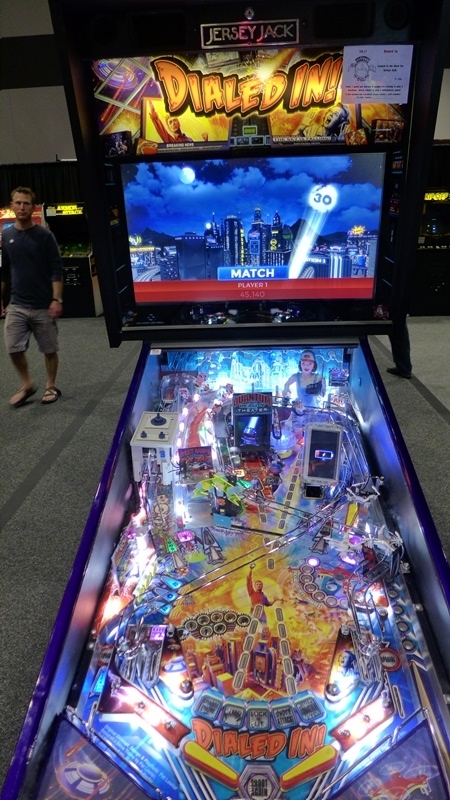 Although the machine experienced multiple technical problems during the weekend, we totally expect to see this one in the area sometime in the future. Interesting! Jersey Jack’s new pin Dialed In! 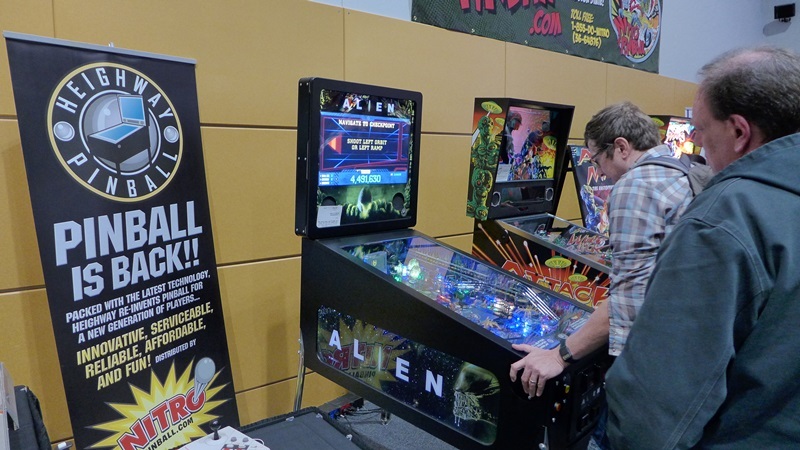 made its first appearance at this year’s show, with two games set up in the center of the pinball action. This is the new game developed by Pat Lawlor, who is responsible for such classics as The Addams Family and Funhouse, among many others. 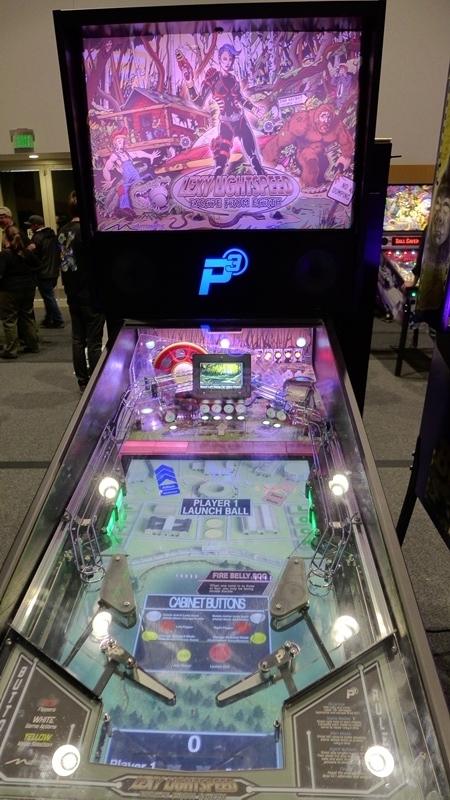 It’s also the first original themed pinball machine released by a major company in many years. Although Dialed In! 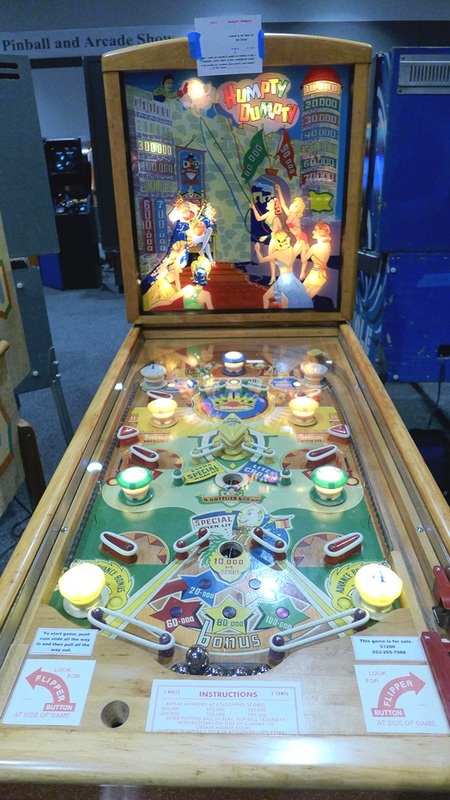 made its premiere at the Seattle Pinball Museum in the weeks before the show, this was the first time many had a chance to check out the game. And so there seemed to always be a line waiting to play it. The wait was worth it, as Dialed In! has a fun layout and feel which is both intuitive and challenging at the same time. Original! At the other end of the spectrum, a working Humpty Dumpty was also at this year’s NWPAS. Released in 1947, Humpty Dumpty is notable for being the first pinball machine with flippers. Instead of having flippers at the bottom of the playfield like modern games, Humpty Dumpty had six of them running down the middle of the playfield. 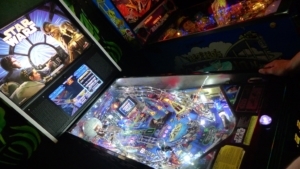 We were surprised to find it mixed in with the other pins available to play, and we were also surprised that it had a recorded voice that spoke to the player. 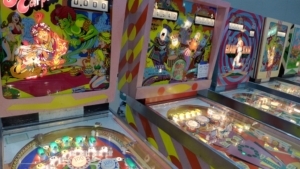 We had never heard of that before and assume it was added to the game at some point in the last 70 years, since 1979’s Gorgar is known as the first talking pinball machine. Humpty was also for sale and was picked up by one lucky Dennis Bower from Spokane. Lucky! 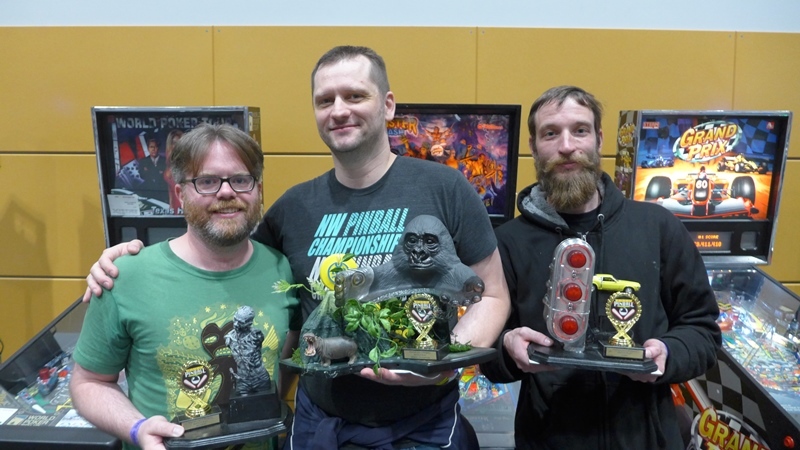 The pinball tournaments held at NWPAS this year were once again organized by Dave Stewart and Germain Mariolle, and have become a rather big part of the weekend. Undoubtedly this is partly because tournaments have become a large part of the local pinball scene, but also because they have expanded over the years to include a Women’s tournament and a Rookie tournament. 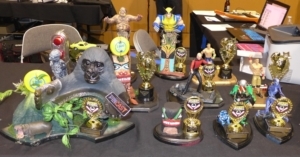 Sponsored by Shorty’s, Nitro Pinball, and 8 Bit/Triple Knock, these tournaments draw in people from all over the region, not only for the fun of competition but also for the cool prizes, which included a slew of trophies (created by artist Angela Drobka) as well as an Ali pinball machine, ultimately won by Alexa Philbeck. Wow! 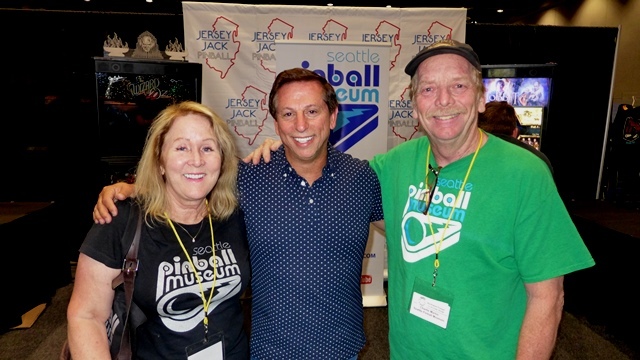 Despite Tacoma being so close to Seattle, many people chose to stay in hotels for the weekend, and as a result The Triple Knock became the location of a big pinball after-party! 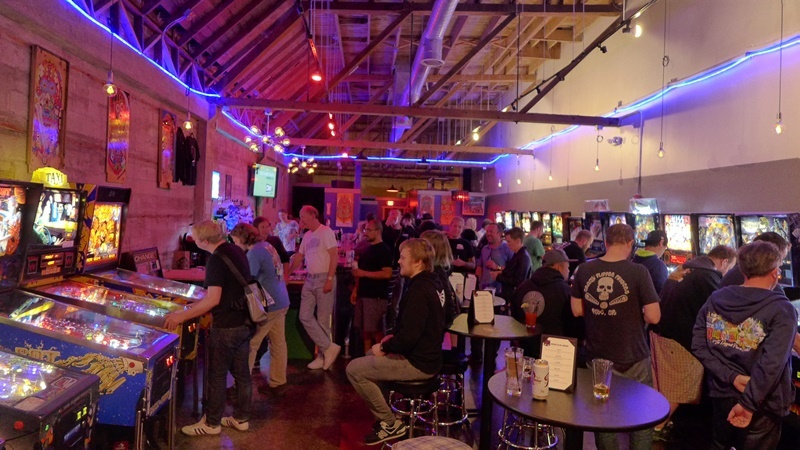 Some may remember that The Triple Knock hadn’t opened in time for last year’s NWPAS, so this was a first look at the bar for many people, us included. 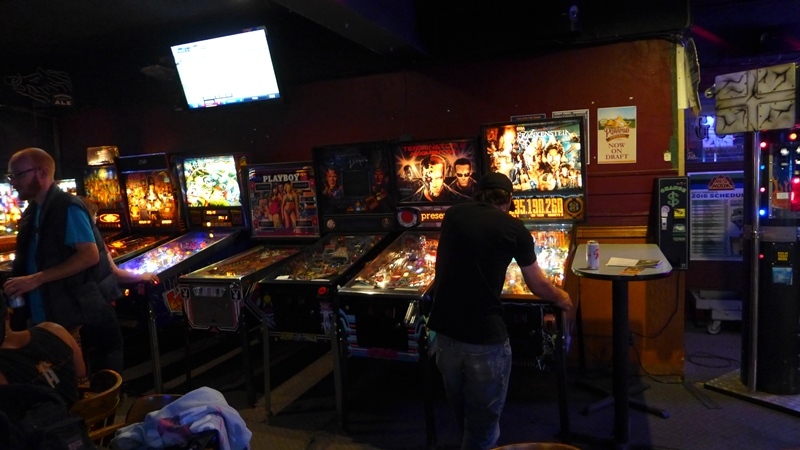 It is a great location with a full bar, 20+ pinball machines, and plenty of room to move around. 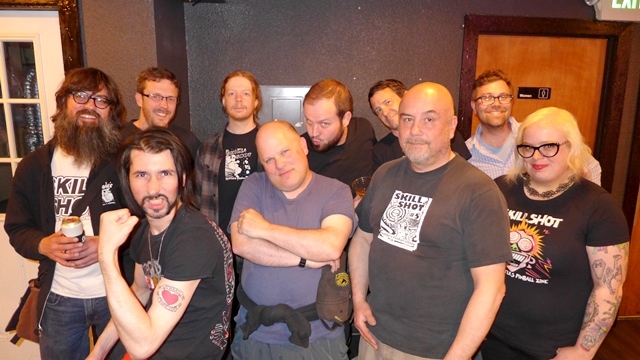 It was such a popular destination during the show that no one wanted to go to The Mix for karaoke, which was a hit last year. 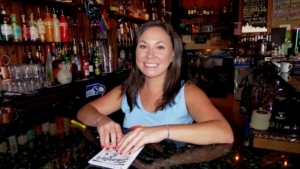 Fortunately for the Tacoma Cabana, people still sought out fancy tiki drinks. 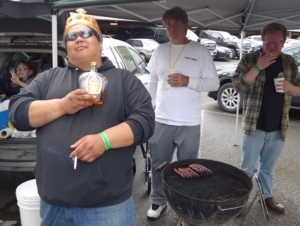 What a great weekend. Fancy! The IFPA 14 World Pinball Championship took place in Copenhagen, Denmark on June 3-4, with the top 64 players from a multitude of nations converging to compete for the world title. The fact that Seattle’s lone representative to this year’s event was Raymond Davidson, AKA The Bone Collector, was not much of a surprise to anyone. 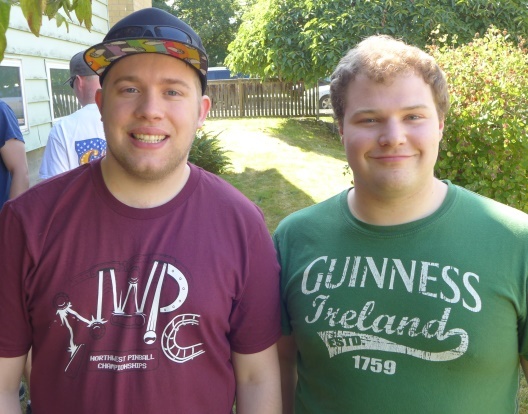 The Championship was live on Twitch but because of the time difference, a lot of the action took place at awkward times for local viewers. 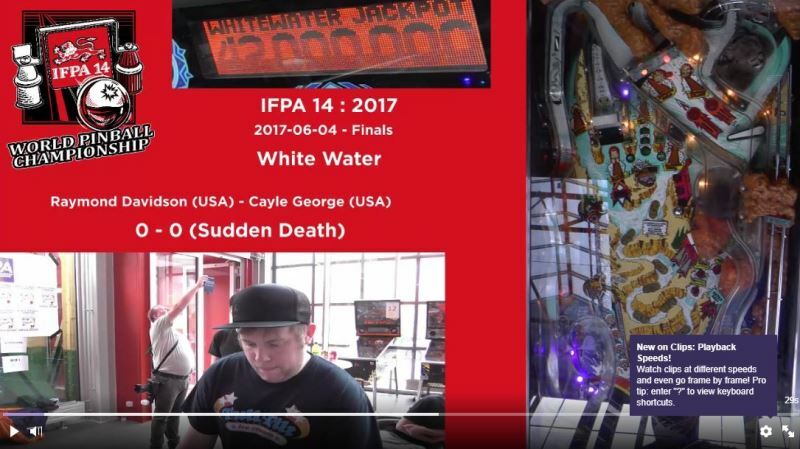 For those who happened to be awake in the early hours of that Sunday, it was exciting to see Raymond enter the finals and have a multi-game battle against his one-time mentor Cayle George! 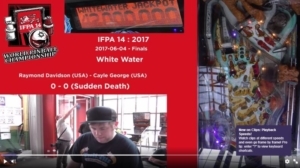 Despite some early losses, Raymond was able to battle back and overcome both Cayle’s lead and the time zone advantage to become the IFPA 2017 World Pinball Champion! 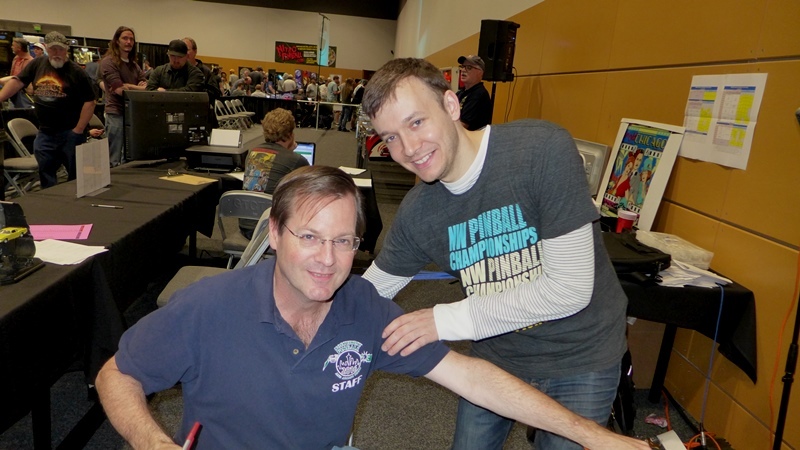 Congratulations RAY, and thanks for bringing the glory back to Seattle pinball! Glory! The next couple of months bring two major tournaments to the Pacific Northwest: the NW Pinball Championships in August and The Vancouver Flip-Out in September. Both of these tournaments are PAPA Circuit events which most likely means that top players from outside the region will be in attendance. 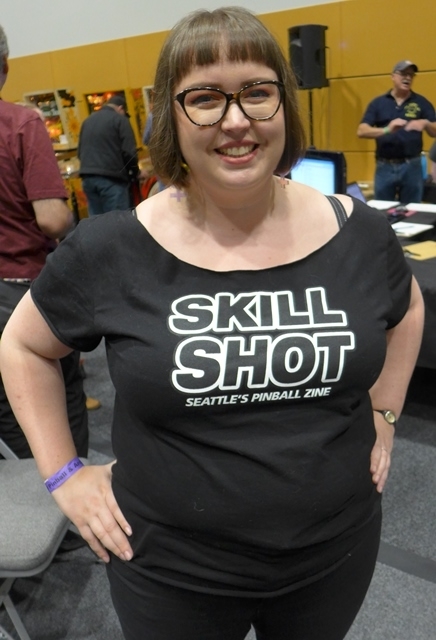 While the Vancouver Flip-Out is part of the Vancouver Pinball Expo, the NW Championship is a stand-alone event which has held pre-tournaments at various locations around Seattle where people were able to win game tickets for the tournament. 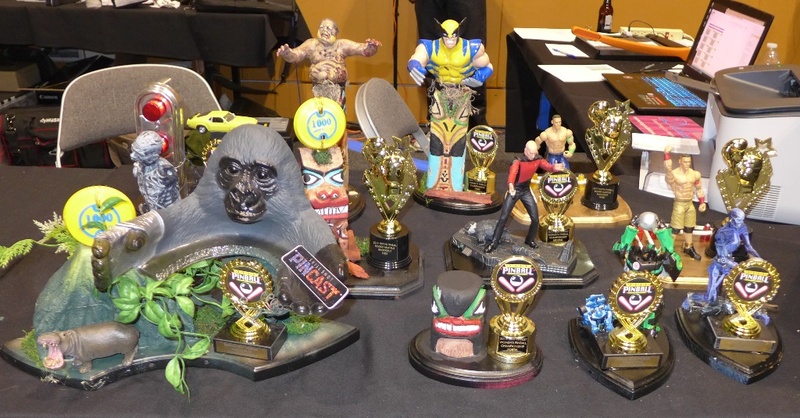 There is a hiccup to this year’s Championship, because the tournament location, Lucky Strike, cancelled their reservation less than a month before the event! 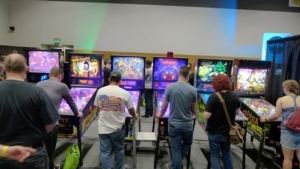 Fortunately, a new spot in Lynnwood has been found, and tournament organizers Beneficial Malfunction are offering to help players commute to the new location. Lucky!?! 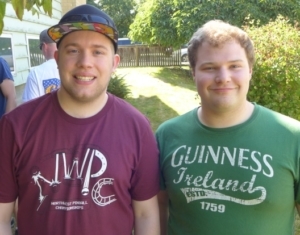 The local weekly tournament scene just keeps growing. 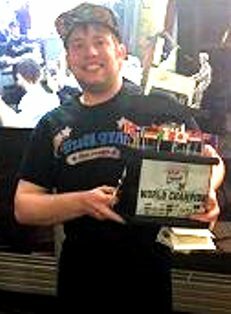 4B’s Alehouse in Frelard has entered the popular Sunday night arena with a Round Robin tournament hosted by Blake Mitchell. 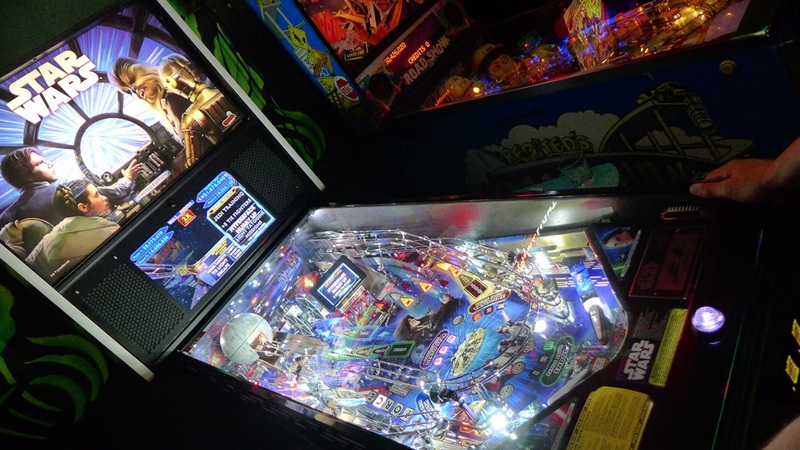 4B’s hasn’t had any pinball in a number of years until recently, when they suddenly exploded with over a dozen pins, including locally underrepresented titles such as Silverball Mania and Frankenstein. Meanwhile, Houndstooth in Greenwood has started a Wednesday night tournament (a night long dominated by Add-a-Ball Amusement’s Weekly Flip-Off) hosted by Megan Czahar. 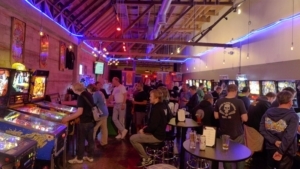 Greenwood seems like a growing hot spot for both apartments and nightlife, so we’re guessing that they should be able to draw a good local crowd. 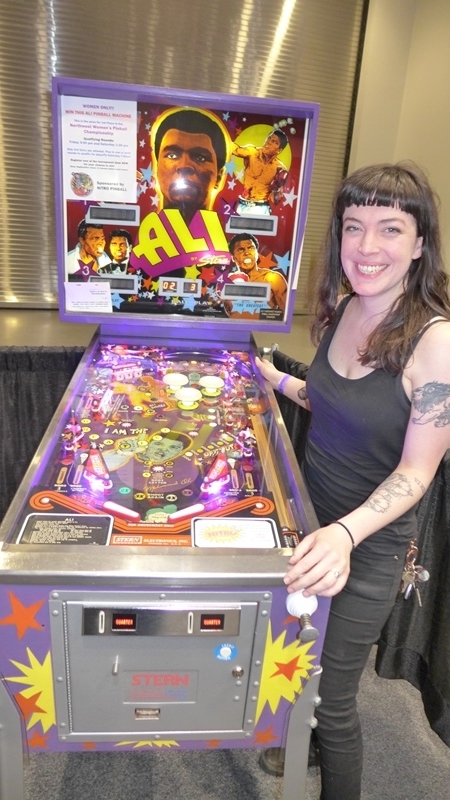 Houndstooth and 4B’s are serviced by Grand Champion Games, who have greatly expanded the number of pinball machines in Seattle in the past year or so since they began operating. Growing! Another sign of growth in Greenwood is the upcoming new location Coindexter’s. 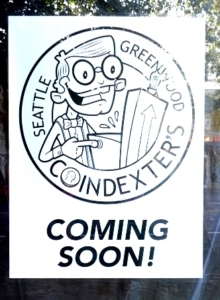 Located in the space that was once the Crosswalk Tavern, Coindexter’s is expected to open very soon (Sept 1st) and will have 10 to 15 pins when they do. The games will be operated by 20XX, and we’re told to expect a few of the usual classics along with a few rarities possibly thrown into the mix. 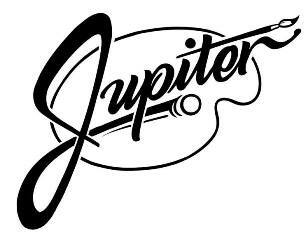 Meanwhile in Belltown, the much anticipated Jupiter looks closer to having an opening day (Sept 14th). 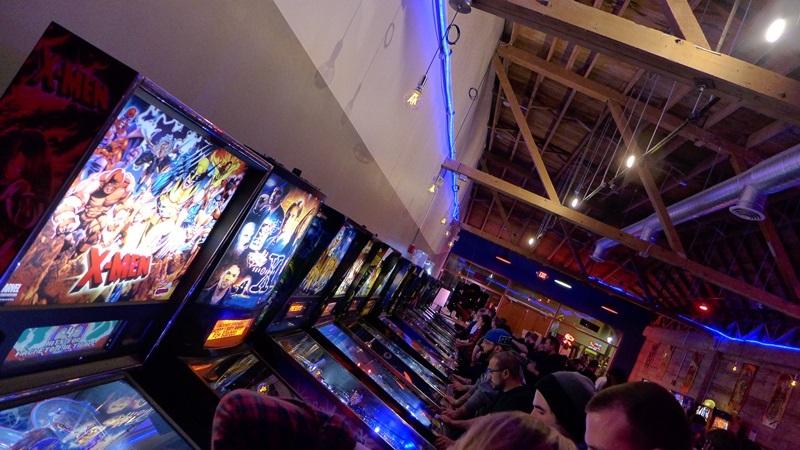 Described as more of an art bar as opposed to a barcade, don’t expect a lot of white walls like an art gallery, but more of an immersive experience with murals and art throughout, and punctuated with 25+ pinball machines. Both of these locations will have alcohol and be 21+. Sorry Kids!